100% brand new 3" tube housing with CNC machined Torino bearing ends. 3-Link mounts are fixtured and weld in the correct spot. We add our usual fill, level and drain bungs. -6AN fitting for the vent. 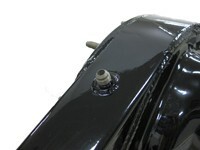 Don't forget to order the -6AN Push on Hose End below. 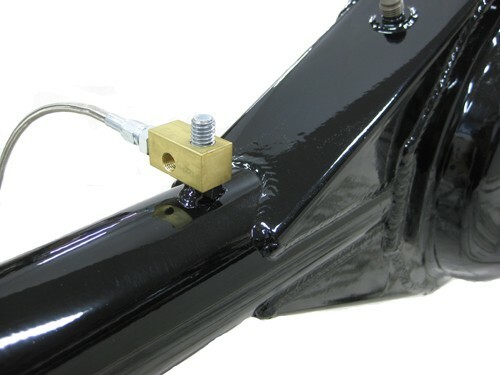 Stud welded to the drivers side tube for convenient mounting of our Intermediate Brake Hose (select under 'Related Items' below). Brake line tab welded to the passenger side tube for convenient brake line routing. 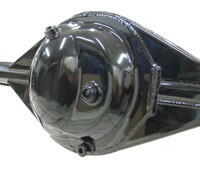 After all the welding the housing is straightened and powder coated gloss black. 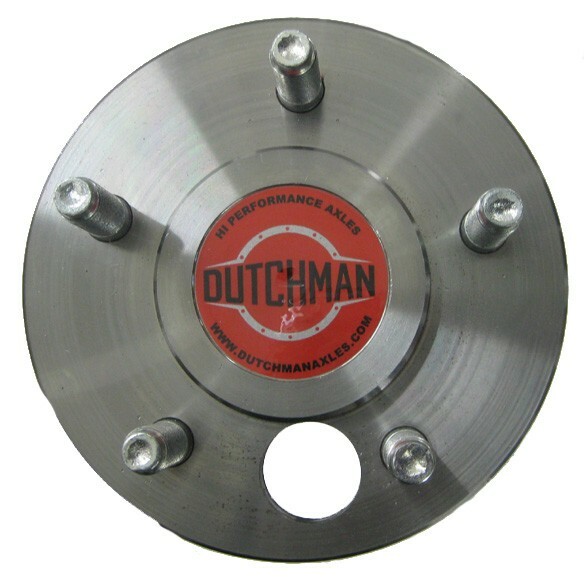 Dutchmen 31 spline heavy duty axles with bearings installed, wheel studs and seals. Standard rotor registration is 3.06”, 2.50 axle offset. If you need different dimensions please let us know. CNC machined Torino bearing end with threaded holes. 3-Link brackets installed. You can also see the brake line tab on the passenger axle tube. 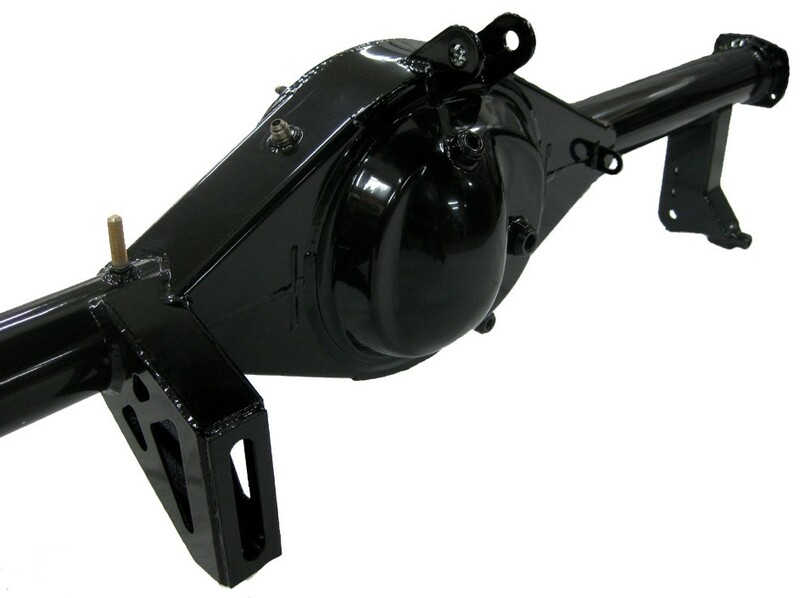 Heavy duty 31 spline Dutchmen axles along with wheel studs, axle bearings and seals are included. Baffled -6AN vent fitting allows for easy and convenient vent hose connection. Order the correct fitting to transition to flex hose below. System is shipped ready to install. Simply install the axles, run brake lines, add your center section, fill with fluid and its ready to run! Our housing is highly customizable and can be made wider/narrower. If you have a custom application let us know and we will try our best to accommodate you! 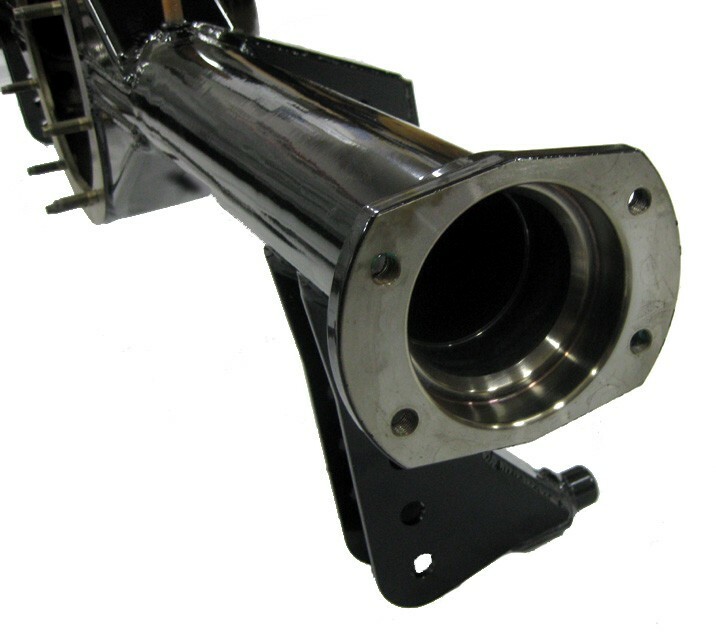 All systems are built to your specifications, please allow 6-8 weeks build time.